Nat is a coffee shop manager in Manhattan. She started playing footy last year when her girlfriend invited her to join her for a metro game. 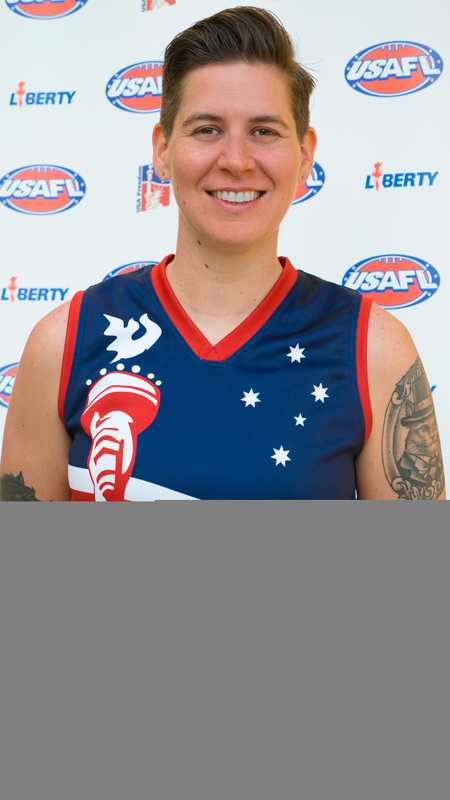 Her experience playing basketball and soccer helped her to pick up the game quickly and the support and coaching of her fellow New York Magpies have helped to make the game a passion in her life. In her spare time Nat likes to watch TV, play video games, and spend time with her girlfriend and their German Shepherd mix puppy, Ru.